Wastewater treatment facilities typically represent the largest electricity consumer for municipalities. Increasing electricity rates, coupled with consumer pressures for improved efficiency and downward rate pressures have led cities and towns to seek new revenues and cost reduction strategies. Harnessing the energy-generating potential of the wastes they manage is one way many utilities, like the City of Wilson, are finding success. Cavanaugh was hired by the City of Wilson to evaluate the potential for harnessing the renewable energy from its four anaerobic digesters located at its Hominy Creek Wastewater Management Facility (WWMF). City leaders frequently observed the large flame stemming from the flare located at the WWMF, and were afraid they were missing an opportunity to capture the energy value of the gas that they presumed was going up in flames. The City’s leadership was somewhat familiar with the concept of utilizing digester biogas as a fuel for electricity generators, but had not established an understanding of how much electricity they could generate at their facility, nor the costs of doing so, and the ultimate value proposition to them – the return on investment. The findings conclude that a $90,000 per year savings is possible, with project payback estimated to be 7 years. Cavanaugh collected data to analyze the quality and quantity of the existing biogas generated at the facility to establish a baseline value. Additionally, the characterization of the influent (feedstock) was assessed to explore optimal waste utilization alternatives at the Hominy Creek WWMF. Based on this assessment, an initial biogas projection was established, which was valued based on use of the biogas to fuel electricity generation at the WWMF. But, the City leadership wondered if additional value and cost reduction could be realized through further optimization. Part of the Feasibility Analysis performed by Cavanaugh typically includes an evaluation of available feedstocks that may increase productivity and efficiency of the biogas system. 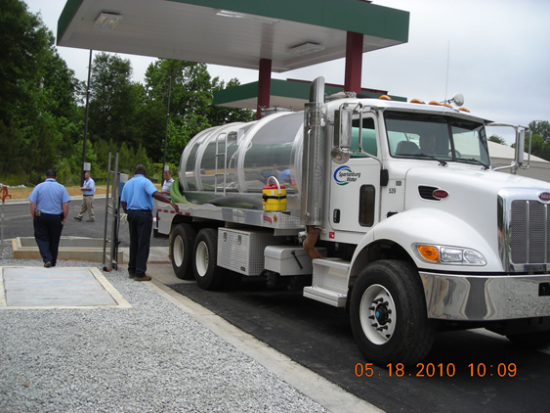 As the City already had a fats, oils, and grease program in place that regulated the control of these materials generated by City sewer customers, we considered increased gas production potential through the addition of grease to yield maximum utilization efficiency. We learned that, at the time of this analysis, the fats, oils, and grease collected by City sewer customers was typically land-applied by contract haulers, which resulted in disposal of this valuable material. This led to further evaluation by City staff as to the potential to receive and process these materials at the WWMF, leading to increase tipping fee revenues collected by the City, increase biogas production resulting in more energy harvested, reduced total costs to the customers served, and a significant environmental improvement. To correctly assess the better return on investment to the City for utilization of the biogas, several alternatives were explored. Crowder Construction, who Cavanaugh partnered with to perform this feasibility analysis, developed estimated costs for the capital improvements needed to facilitate harnessing the biogas for electricity generation at the WWMF. Cavanaugh worked with City staff to estimate the revenues and avoided costs from several options and alternatives involving differing means of electricity generation, feedstock collection, and electricity utilization/sales. Other financial programs that support these types of projects were identified, such as available tax incentive programs and grants. Cavanaugh compiled this information into a report and economic pro forma for use by the City for budgeting and capital project prioritization. The resulting report answered the City’s leadership questions on the value of the biogas, the return on investment, and gave them confidence in the information to establish a pathway for moving forward. The estimated cost savings through on-site electricity generation were calculated to be in excess of $90,000 per year. 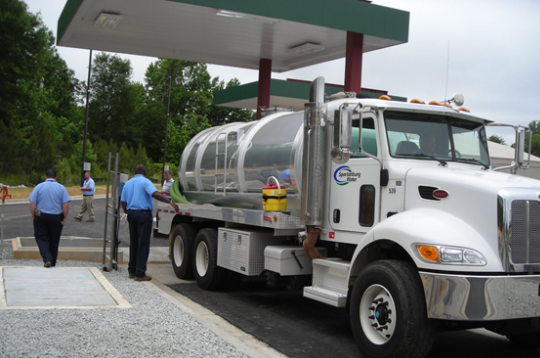 Coupled with the increased tipping fees realized through grease receiving, the City of Wilson was projected to realize a simple payback of under 7 years for implementing the recommended alternative. Installation of microturbines for electricity generation. The installation of microturbines for electricity generation was determined to be the best alternative, and two (2) were recommended for duality of performance, to help during peak biogas production times, and to accommodate preventative maintenance by eliminating downtime. A grease receiving and metering station was recommended for optimal performance, which will generate tipping fees from the grease receiving operation, significantly improving the economic viability of the biogas utilization system. The total estimated capital costs of the improvements required, including gas skid upgrades and microturbines, was just over $1 million, with avoided costs of electricity over $80,000 per year. The addition of a grease receiving station was estimated to cost approximately $1.5 million. The addition of grease increases the revenue potential through tipping fees in excess of $50,000 per year, added to additional avoided costs for electricity of approximately $20,000. The development of confidence in the capital costs, as validated by an experienced partner like Crowder Construction, with accurate estimate of revenues and avoided costs, provided for the City of Wilson’s development of a schedule and priority for this project that is well-informed and alleviated the ‘what-if’ risks from their planning process.